Emerald_Island_2703 in Kissimmee is a holiday home with 1 room. Located 18 km from Kissimmee Value Outlet Shops in Kissimmee, Emerald_Island_2703 offers accommodation with a kitchen. This holiday home provides air-conditioned accommodation with a patio and free WiFi. The holiday home is equipped with a flat-screen TV and 8 bedrooms. Guests can make use of the hot tub. An outdoor swimming pool is available for guests to use at the holiday home. 192 Flea Market is 21 km from Emerald_Island_2703. The nearest airport is Orlando International Airport, 41 km from ...the accommodation. 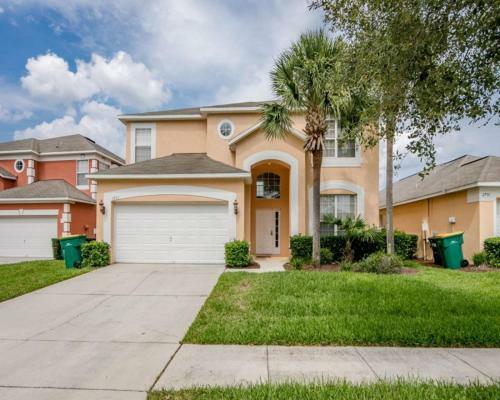 Located 18 km from Kissimmee Value Outlet Shops in Kissimmee, Emerald_Island_2703 offers accommodation with a kitchen. This holiday home provides air-...conditioned accommodation with a patio and free WiFi. The holiday home is equipped with a flat-screen TV and 8 bedrooms. Guests can make use of the hot tub. An outdoor swimming pool is available for guests to use at the holiday home. 192 Flea Market is 21 km from Emerald_Island_2703. The nearest airport is Orlando International Airport, 41 km from the accommodation. When would you like to stay at Emerald_Island_2703?